Could Eating Fat Prevent Alzheimer’s? What would you say to a diet which could prevent Alzheimer’s and sort out any weight issues? Bring it on I hear you say! If I was to say that eating fat as your main source of energy, including saturated fat is the answer I wouldn’t be at all surprised if you were a little sceptical! I read two very interesting books last year on two different aspects of diet and health which were both particularly compelling and well researched which have gone quite along way in challenging some of my long held beliefs. Two different books, two very similar messages with two different outcomes. The two messages were eat fat and don’t eat grain (and gluten grains in particular). The two different outcomes were weight loss and the prevention of Alzheimer’s respectively. The first book, ‘Eat Fat Get Thin,’ promotes a high fat, very low carb diet with no grains in the first 21 days. Grains can then be reintroduced with caution but in very small amounts. Fats come in the form of good quality animal fats such as grass fed beef and lamb, organic chicken, duck and eggs, grass fed butter and wild oily fish. Plant sources of fat in the form of nuts, seeds and their oils, olives and olive oil and avocados with a big emphasis on coconut oil. The second book, ‘Grain Brain,’ again promotes a high fat, very low carb diet with absolutely no gluten and if at all only very small quantities of gluten free grains. Once again recommended fat sources were the same as in, ‘Eat Fat Get Thin, ‘but this publication also includes cheese (but not blue cheese). I do believe that fat is important in the diet and that having essential fats in the diet are important in helping burn our own fat and as such I am ferociously against low fat diets. 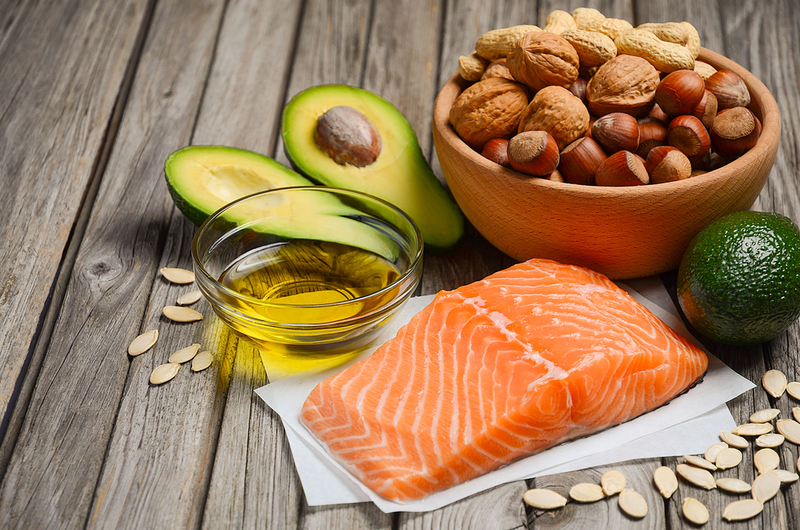 I also believe that fat and particularly essential fats in the form of oily fish, nuts and seeds and the oils from those nuts and seeds are very important to brain health and as such could play an important role in the prevention Alzheimer’s. I also think that we need some saturated fat in our diet too but to use fat as our main source of energy is a huge paradigm shift which is massively challenging my beliefs. Both diets are against the use of sugar and refined carbohydrate and I would absolutely go along with this. Sugar and refined carbs contain virtually no nutrients, promote weight gain and fuel inflammation in the body. What I’m not entirely convinced about is cutting out starchy carbs completely from the diet. I have always been of the belief that the brains preferred source of energy is glucose and that the best way to keep the brain happy is through eating a Low GL diet which should provide the brain with a steady flow (all be it in small amounts) of glucose throughout the day. I did try the Dr.Mark Hyman diet for a week and it wasn’t a million miles away from how I eat anyway. I did lose weight; my energy levels were Ok but I would have to say that even though I was eating good quantities of food I did feel more hungry than usual. I also just didn’t feel quite right. Maybe my brain wasn’t entirely happy without that steady flow of glucose? Maybe I didn’t give it long enough? And indeed Dr. Mark Hyman does make reference to the fact that some people are better with some starchy carbs in their diet. For me the Starchy carbs are staying but in a very controlled way as is the case with a low GL diet. Low GL promotes a good supply of fats and oils in the diet and provided you are keeping sugar and refined carbs out of your diet then fat per se does not cause weight gain. As for gluten I’m pretty convinced that gluten is not a good idea, it’s not good for the digestive system and it’s not good for the brain but I don’t think I would go as far as to cut out all grain. Also its very important if you cut out gluten that you don’t replace it with horrible over refined mass produced gluten free products from the supermarket. Both books are fascinating and as I said earlier well researched and backed by science. It could well be that the fat theory is here to stay but at the moment I remain cautious until more research is done. 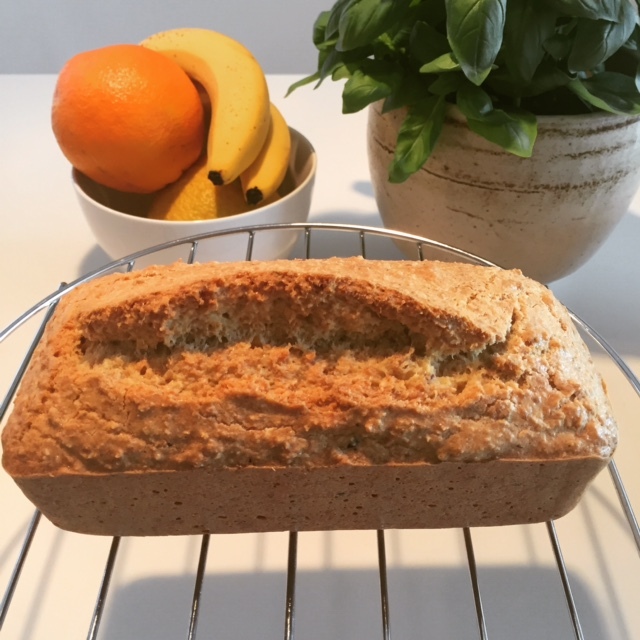 My recipe for Linseed and almond bread is gluten free and full of lovely health giving ingredients. Its also very high in fat and would actually be suitable on Dr. Mark Hymans diet and David Perlmutter’s.